The IPU CET stands for the Indraprastha University Common Entrance Test which is conducted by the Indraprastha University for admissions into their law courses which include the BA LLB and BBA LLB five year integrated programmes. Candidates who clear the IPU CET LLB Entrance Exam can get admission into the university itself or any of its affiliated colleges which include as many as eight colleges. 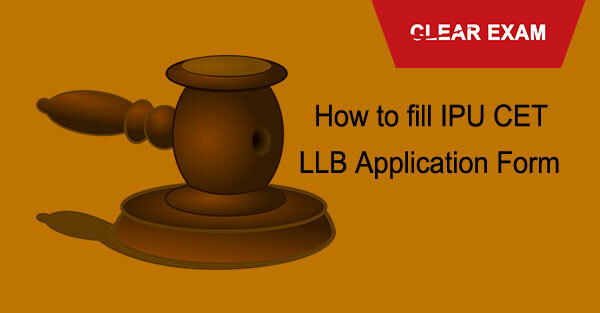 Before all that though, the first step is to fill up the IPU CET LLB Application Form 2018. The Application form of IPU CET law 2018was released on 19th February 2018. This can be accessed and filled up through their official website. A login ID and password will be sent to the email and the phone number provided. Check that. Go through all details to ensure they have been correctly filled in and then click on ‘submit’ tab. Note: for offline payment, cash, demand draft and/or bank challan will have to be submitted at designated centres. IPU CET law 2018 application form fees the same for all category candidates (General/OBC/SC/ST) which is 1000 INR. Pay the application fee by choosing any of the options which would be most convenient for you. Please go through the eligibility criteria before you begin to fill the form. The academic, as well as other qualifications a candidate must possess, are mentioned to make admissions into the undergraduate law programmes offered by GGSIPU. Having a valid and in use email ID as well as the phone number is a must for registration before you can fill up the form. Applicants should also have scanned copies of photograph and signature ready (in specified dimensions) as these will be required while filling up the form. In the final stage of the application, candidates will need to verify the details filled in in the form before the submission is made. The last day for filing and registration of the IPU CET law application form is 1st May 2018. Hence keep in mind to fill up the form before or on 1st May to ensure that you don’t miss out on it. We wish you all the best with the form filling, your preps and also for the test! Read here how to fill IPU CET LLB Application Form 2018.